This October the big thing in Feng Shui is our Feng Shui Coins. Especially hot are Genuine Ancient Chinese Coins. These Chinese Coins are the real thing. They were individually pressed by hand 1000 years ago. When you hold them you can feel the energy of all of the people who used them 1000 years ago to fulfill their needs and dreams and these coins give you the power to do the same. Some people buy just one, some people buy three, some people buy a whole lot of them. Some have told us that they place them in their wallet or handbag. Some place coins around a Feng Shui wealth item like a Dragon or Money Frog. You will find our Genuine Ancient Chinese Coins on Zen Appeal here http://www.yourfengshuistore.com/Genuine-Ancient-Chinese-Coins_p_33.html . When you hold your own Genuine Ancient Chinese Coin in your hand, you will feel the power of money! Change your dead light bulb. When you see your bulb is out, immediately change it. With more light, you will see your life more clearly, you will reduce obstacles, and less negative energy. Choose a long life bulb like a Compact Fluorescent to reduce energetic stress of frequent bulb changes. Are your Amethyst cleared and can they be used without digging a hole? Mark and Leslie, how can I use your Amethyst when I can't dig a hole on my property? Thank you for your question. The Amethyst we sell have been cleared and I have given them the intention of Wealth and Prosperity for the user. Since you are not able to dig a hole, don't worry about digging a hole. You will place or throw the Amethyst as close to where the Wealth and Prosperity corner should be and don't worry about digging any holes. You will find our Amethyst on Zen Appeal here http://www.yourfengshuistore.com/Amethyst_p_36.html . Now you will never again have to worry about having a missing Wealth and Prosperity corner because you don't have one, it is complete. We have recently added a new item at Zen Appeal. Our new Cloisonne Fertility Elephant Pendant is on our Feng Shui Elephants page http://www.bocafengshui.com/elephants.html . Zen Appeal has a page dedicated to special sale items, each available for a limited time only. Sale items come and go without warning, so please check the page often and enjoy the big discounts! Here's the link to the Zen Appeal Sale Page http://www.yourfengshuistore.com/On-Sale_c_23.html . Featured Sale Items include -Fertility Elephant, Jade Donut Necklace, Bagua Coin Charm on Leather Cord, Fertility Elephant Pendant, Fertility Goddess Necklace, Swarovski Bagua Career Hanging Crystal, Chinese Coin Necklace, Dragon Gong Bell, Evil Eye Bracelet, Golden Headed Turtle, and more! Savings up to 50% off on some items! Some of our most popular items are on sale! Recently some of our popular items have unfortunately been discontinued by our suppliers. We have limited quantities of the following items available: White Lucky Cat Happy Business, Abundance Spray, Mother Goddess, Protection Spray, Pocket Fertility Angel, Golden Lucky Cat Money and Happiness, Dreams Candle, Chakra Balancing Kit, Feng Shui Dragon Sword, 3-D Dreams Dream Catcher, Healing Feminine Spray, Silver Floating Heart Necklace, Yellow Jade Kwan Yin Necklace, Swarovski Crystal Heart Necklace with Rose Pendant, Swarovski Crystal Heart Necklace with Aurora Borealis Pendant, Courage Candle, Love Heart Candle by Montserrat and Attraction Heart Candle by Montserrat. Come and stop by our Zen Appeal News page http://www.bocafengshui.com/zenappealnews.html to find out what our current Best Sellers are, what pages we have updated with new products, when the tip of the month has been changed, and see a selection of our Feng Shui new products. All this, and more, just for you at our Zen Appeal News page http://www.bocafengshui.com/zenappealnews.html . New on the Zen Appeal News page Feng Shui Bagua Guide. Feng Shui Bagua Area product suggestions - Mark and Leslie's current picks for you. Check out our Feng Shui Blog at http://fengshuiconsultation.blogspot.com/ . We have continued to post on our Blog about our site updates. We also post updates when new products are added to Zen Appeal and when both the Zen Appeal Sale Page http://www.yourfengshuistore.com/On-Sale_c_23.html and Feng Shui Tip of the Month http://www.yourfengshuistore.com/Tips_ep_58.html are updated. Currently our Blog has archived newsletters June 2008 - September 2009. Our Blog links to our Facebook page https://www.facebook.com/zenappeal , where you can comment and ask us questions that we will answer. Please continue to enjoy! Feng Shui Consultants of Boca Raton and Zen Appeal proudly accepts PayPal. PayPal lets you use all major credit cards, bank transfers, debit cards, and more for payment. Plus, you do not need to have or open a PayPal account to buy from us with PayPal. And best of all, using PayPal is FREE! PayPal is Safe. When you use PayPal, your financial information is secure and is not and not even shared with us. Have not tried PayPal yet? Still have unanswered questions?Please visit PayPal http://www.paypal.com/ . Looking for a Feng Shui love cure or romance gift? Now they are all in one place at Zen Appeal, on the Feng Shui Love Cures Page http://www.yourfengshuistore.com/Love-Cures_c_11.html . New page with Feng Shui Money Cures Looking for a Feng Shui money cure or wealth gift? Now they are all in one place at Zen Appeal, on the Feng Shui Money Cures Page http://www.yourfengshuistore.com/Money-Cures_c_10.html . New page with Feng Shui Protection Cures Looking for a Feng Shui protection cure or safety gift? Now they are all in one place at Zen Appeal, on the Feng Shui Protection Cures Page http://www.yourfengshuistore.com/Protection-Cures_c_12.html . Our Feng Shui Articles - all articles written by us, Feng Shui Consultants of Boca Raton and Zen Appeal's Leslie Jacobson and Mark Jacobson. Feng Shui and Your Health http://www.yourfengshuistore.com/Feng-Shui-Health-Article_ep_42.html was our first article.It offers you tips on how to improve your health through Feng Shui. Whole Hearted Feng Shui http://www.yourfengshuistore.com/Feng-Shui-Intention-Article_ep_43.html explains how intentions and affirmations maximize Feng Shui results. It's the Little Things, Feng Shui in Small Doses http://www.yourfengshuistore.com/Feng-Shui-Cures-Article_ep_44.html demonstrates how small environmental changes can produce big personal changes. Enjoy! Chinese Food and Feng Shui - Eat Your Way to Improved Feng Shui http://www.yourfengshuistore.com/Feng-Shui-Food-Article_ep_45.html gives you simple tips for optimizing your Feng Shui through the foods you choose to eat and how you prepare them. Includes delicious Feng Shui Chinese Food Recipe! Feng Shui Chinese Food Recipe from Feng Shui Consultants of Boca Raton and Zen Appeal's Leslie Jacobson http://www.bocafengshui.com/fengshuirecipe.html recipe for Leslie's Feng Shui Sweet and Sour Shrimp. Expanding Your Family - Fertility and Feng Shui http://www.yourfengshuistore.com/Feng-Shui-Fertility-Article_ep_47.html gives you a lot of Feng Shui Fertility information and suggestions to make your baby dreams cometrue. Feng Shui for Love and Romance - Improve your Love Life through Feng Shui http://www.yourfengshuistore.com/Feng-Shui-Love-Article_ep_46.html gives tips and ideas for increasing your romance through Feng Shui. Feng Shui and Your Front Door http://www.yourfengshuistore.com/Feng-Shui-Bells-Article_ep_48.html helps you Feng Shui theoutside and inside entry of your home. Feng Shui Wealth Symbols http://www.yourfengshuistore.com/Feng-Shui-Wealth-Article_ep_49.html gives you examples of Feng Shui items you can use to increase your personal wealth. Feng Shui Your Bedroom http://www.yourfengshuistore.com/Feng-Shui-Bedroom-Article_ep_50.html explains how to Feng Shui your bedroom. Feng Shui Your Home Office http://www.yourfengshuistore.com/Feng-Shui-Office-Article_ep_51.html tells you how to Feng Shui your office. Get Rich with Chinese Coins Article http://www.yourfengshuistore.com/Feng-Shui-Coins-Article_ep_52.html tells you how to use Feng Shui Coins in your home to increase your wealth. Portable Feng Shui http://www.yourfengshuistore.com/Feng-Shui-Portable-Article_ep_53.html shows how to use small, portable, items to bring positive Feng Shui energy everywhere you go. Feng Shui and Coins - Prosperity in Numbers http://www.yourfengshuistore.com/Feng-Shui-Lucky-Numbers-Article_ep_54.html explains the symbolic Feng Shui meanings of the number combinations of Chinese coins so youcan choose the best combinations. Feng Shui Quiz http://www.yourfengshuistore.com/Feng-Shui-Quiz_ep_55.html will help you choose the best Feng Shui solutions to your problems. Another article written by us, Feng Shui Consultants of Boca Raton and Zen Appeal's Leslie Jacobson and Mark Jacobson. Feng Shui Consultants of Boca Raton and Zen Appeal have added a new item at Zen Appeal http://www.yourfengshuistore.com/ . Use this cool Genuine Lucky Fortune Gift to bring more money into your wallet. You will find our Genuine Lucky Fortune Gift on Zen Appeal here http://www.yourfengshuistore.com/Genuine-Lucky-Fortune-Gift_p_34.html . Feng Shui Consultants of Boca Raton and Zen Appeal have added October's Feng Shui Tip of the Month. Please visit http://www.yourfengshuistore.com/Tips_ep_58.html to read it and find out how to pick out the perfect Nine Feng Shui Gifts for Nine Dollars and under for your family, friends and yourself. Perfect timing with the holidays just around the corner! Fall is starting to slowly come to us in Boca Raton Florida, and the temperature is actually below 90 degrees Farenheit for the first time in a very long time. It might be snowing where you are, but that's not what 'cold front' means here! Either way, it's still too cold to go OUT to shop. Stay in and shop with us. Zen Appeal has Feng Shui Sale prices that will keep you feeling comfortable, no matter the weather. At Zen Appeal the October Sale items have been added. Some of our hottest items have been put on sale with huge discounts. 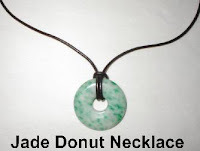 Some of our new sale items include our Jade Donut Necklace, Bagua Coin Charm on Leather Cord, Fertility Elephant Pendant, Pink Fertility Elephant and our hand made Swarovski Bagua Career Hanging Crystal. Please visit our Zen Appeal Feng Shui Product Sale page http://www.yourfengshuistore.com/On-Sale_c_23.html to see all the great deals for yourself. Happy Shopping, and be glad it is not winter yet! New Feng Shui Bagua Guide added to Zen Appeal News page http://www.bocafengshui.com/zenappealnews.html . Feng Shui Bagua Area product suggestions - Mark and Leslie's current picks for you. You will find them right under our Featured New Items. So please stop by our News page and learn more about all the Bagua areas and pick up some really great inexpensive Feng Shui fixes!